U.S. Glorifies Nelson Mandela In Death. But Treated Him as a Terrorist While Alive. Everyone from President Obama to the mainstream news is lionizing Nelson Mandela. The intelligence service, using an agent inside the African National Congress, provided South African security officials with precise information about Mr. Mandela’s activities that enabled the police to arrest him, said the account by the Cox News Service. Newsweek reported in February that the agency was believed to have been involved. At the time of Mr. Mandela’s arrest in August 1962, the C.I.A. devoted more resources to penetrating the activities of nationalist groups like the African National Congress than did South Africa’s then-fledgling security service. A retired South African intelligence official, Gerard Ludi, was quoted in the report as saying that at the time of Mr. Mandela’s capture, the C.I.A. had put an undercover agent into the inner circle of the African National Congress group in Durban. 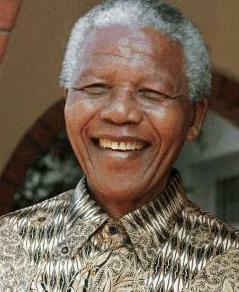 Indeed, Nelson Mandela was only removed from the U.S. “terrorist” list in 2008. Mandela was highly critical of U.S. foreign policy. And anyone – even U.S. citizens – critical of U.S. policy may be labelled a bad guy.